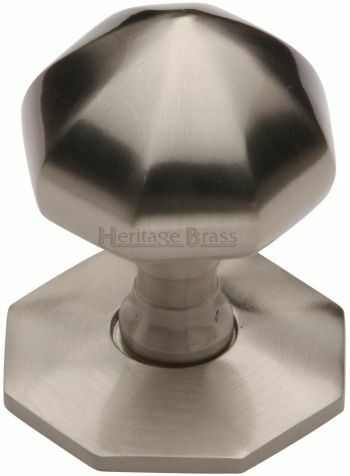 Solid brass faceted Victorian centre door knob pull, supplied with fixings. 57mm diameter knob on 66mm back rose, projection 81mm. Available in Polished Brass, Antique Brass, Satin Brass, Polished Chrome, Satin Chrome, Polished Nickel & Satin Nickel.